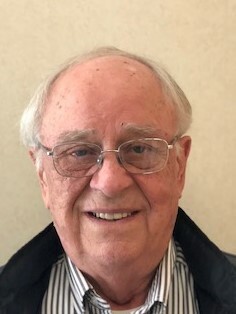 Hap retired as Vice-President and General Manager of Rocky Mountain Natural Gas Company in Glenwood Springs, Colorado. After 57 years of marriage, his wife Carolyn died in 2014 from complications of Alzheimer's Disease. Together, they have three children and seven grandchildren. Hap is in his twenty-second year of retirement and says he has not missed a single day of working.